I changed my infusion set and cannula, as I said I would too, the changes are seeming more and more routine now which is funny because when I first started doing them the needle seemed awfully large and the whole process was a bit scary. 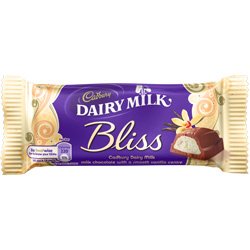 I have been a bit careful this afternoon about my blood sugar, I was 3.8 at lunch time, so I had my lunch, then at about four o’clock I was 3.7 so I had a chocolate bar in order to be able to up my blood sugar and at the same time have some insulin and something tasty to eat (a Cadbury’s Bliss). Then about ten minutes ago I ventured upstairs to see a colleague and one of my mates from the networking team told me it was his birthday and said I should have a cake…so I did (a kind of cream finger affair)! Therefore what I have mostly been doing this afternoon is eating. Tomorrow I will probably be eating less, however I suspect I’ll still be having my blood sugar drop like a rock in the late afternoon. Perhaps I should just plan on eating chocolate or cake at the same time every day?! Thirty Five – Apparently a tetrahedral number! Who knew??? Thirty Seven – Faster, Faster! It’s funny that this is the first post that I have been rated on…and the ratings are both five stars 🙂 Thanks if that was you however I do have a sneaking suspicion that the only real reason that it got those marks was because I put a picture of a chocolate bar on it!!! Perhaps I should try a different food item every day and see which gets the most ratings?